The VID Fire-Kill Model SUFA100 are a series of small robust, easy to install one-shot valves for controlling water access to one or more multiple low pressure watermist fire suppression nozzles. The valves have an ultrafast response glass bulb feature (RTI=28), which reacts to the heat from fires and can also be installed with electrical circuits allowing for electrical release. 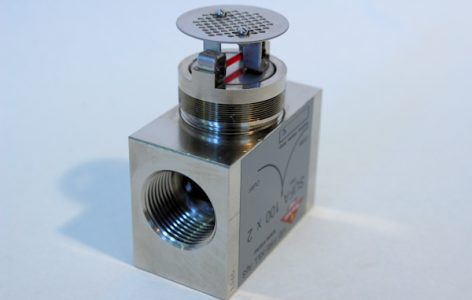 The SUFA100 valves come with one or two outlets and can be supplied with glass bulbs 57°, 68°, 79°, 93° or 141° Celsius. The closing mechanism and detection mechanism of the VID Fire-Kill Model SUFA100 valves have successfully been component tested to IMO A.800 and FM5560, since these parts come from the VID Fire-Kill Model OH-Poseidon and Model OH-range for land use. The only difference between the two is that Model SUFA100 does not function as a nozzle after operation, but purely as control valve for other nozzles. The VID Fire-Kill Model SUFA100 valves, having same detection and release mechanism as the OH-range of automatic nozzles, can be used similar places in buildings where heat can be collected close to the glassbulb. 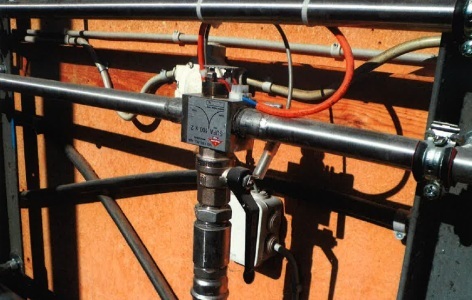 If the electrical operation optional feature is chosen the valve can be locate anywhere in the building as long as it is accessible for maintenance. Multiple Jet Control valves are often used where the need of the cheap and simple detection and operation of water flow is needed in case of fire or where heat will collect in one place as well as in the protection of some industrial machinery, etc. – No need for maintenance.